As a kid, I wrote stories and poems, I took dance classes, guitar lessons, and looked forward to art class with glee. I even had some minor recognition for my talents at times. At 8 years old, I was the youngest student from my school to be selected for a district-wide student writers workshop. At 10, my art teacher singled me out to take an advanced art class for youth at the local university. By the time I was "graduating" from elementary school, my teachers were signing my yearbook with things like, "I can't wait to read your first novel!" In high school I was encouraged to apply for (and then won) a competitive spot for creative writing in a summer boarding program for fine arts. The thing is, at the time I never felt like I really lived up to the expectations of those enthusiastic and encouraging adults. Or rather, I never really lived up to the expectations I created for myself in the wake of their enthusiasm and encouragement. When on-the-spot creativity was required (You have 15 minutes to write a dialogue between two characters of your own creation which other students in class will perform, starting... now!) I blanked completely. And being a very sensitive soul, every perceived lack in my achievements became magnified into enormous failures. It was a self-reinforcing cycle. There was college, and marriage, a career, and children. I became a graduate, a software tester, a mother, a homeschooler. But in that time, I never became an artist. As I watched my children follow their curiosity and their hearts, learn to walk, talk, draw, write, swim, ride bikes, I cherished their fearlessness. 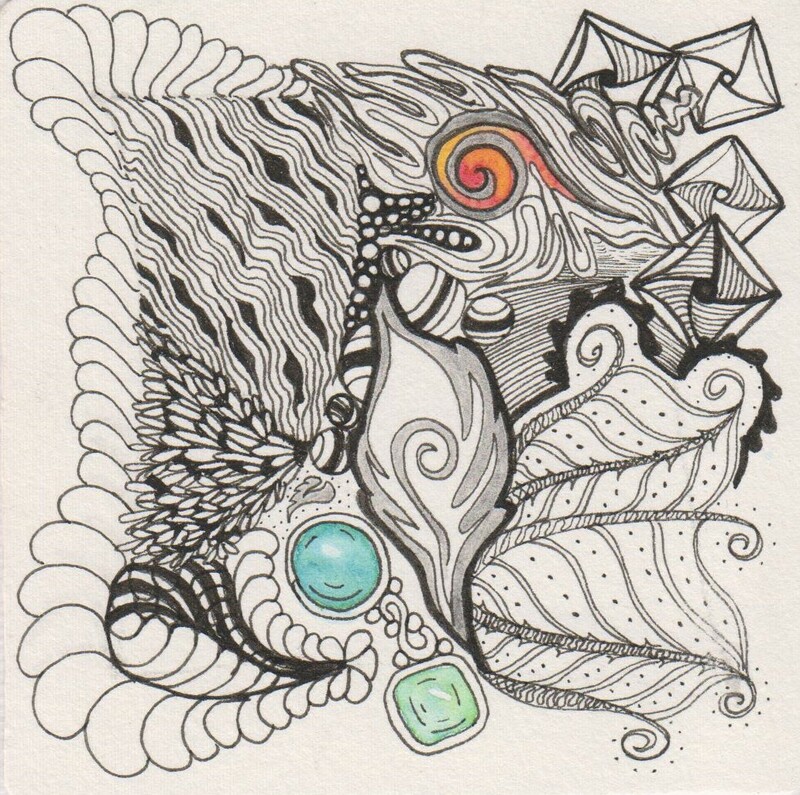 Much has been written about the Zentangle artform, and I encourage you start at the source and read directly about The Zentangle Method, from the creators Maria Thomas and Rick Roberts. Incredibly ornate and intricate pieces of Zentangle art are created by deconstructing patterns into bite-size pieces. By distilling these patterns or "tangles" into simple, focused, and repetitive strokes, almost anyone can access not only this artform but also a soothing meditative state of mind. Immediately I dug out an old sketchbook, previously abandoned for several years, and began filling pages the with tangles. 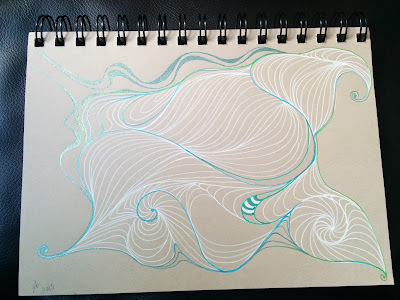 I learned tangles from the Zentangle website and online communities generously sharing the step-outs to patterns they had learned directly from Rick and Maria, from each other, or created themselves. 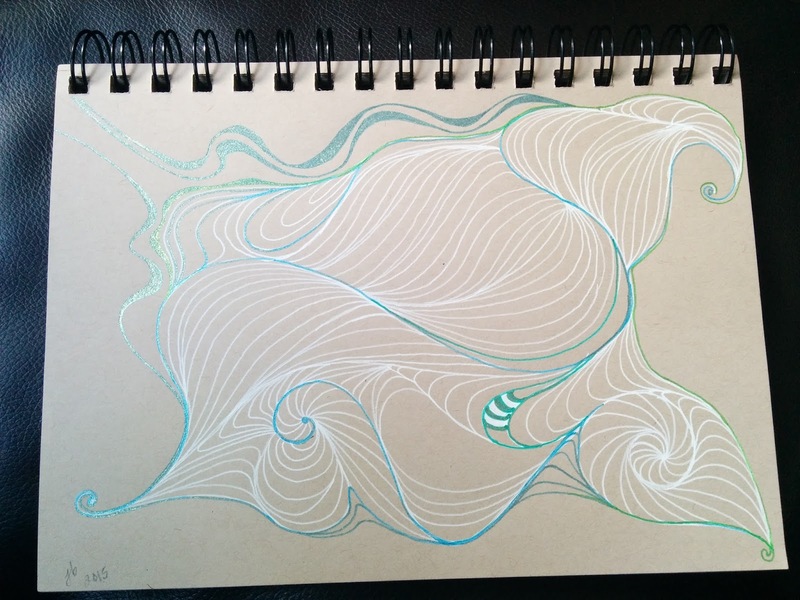 You may have noticed that tangles are done in pen. 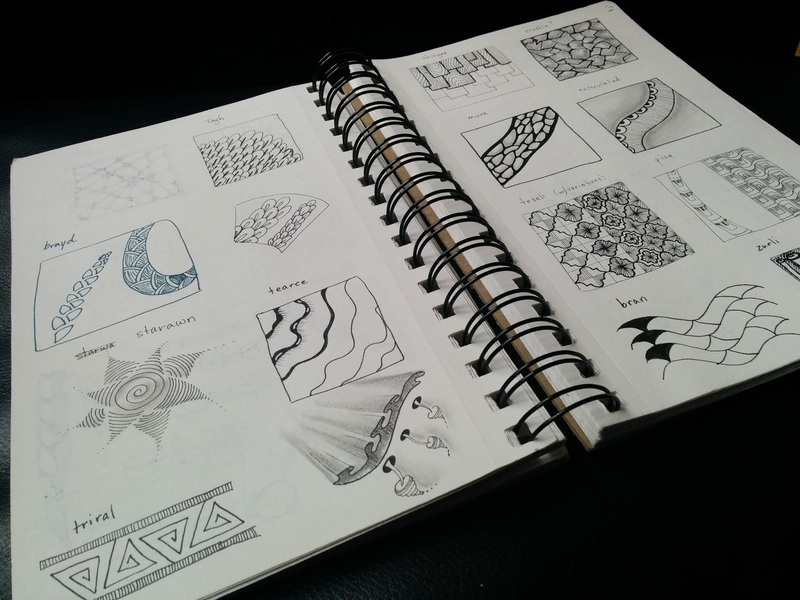 That's right, because there are no erasers in The Zentangle Method. Why? There are no mistakes because there are no pre-determined outcomes in this approach, only opportunities for new exploration. If your line wiggles, breaks, or heads off course, that is your stamp of authenticity. If a "stray" line or dot appears, perhaps it's an invitation to add stippling, thicken the line weight, or add shading. One unintended or wiggly line can seem like a mistake when our inner critic starts talking. Repeated over and over again, that wiggly line is a unique rendering that takes on a life of it's own. how freeing that idea is.